Whether you’re a new couple or a not-so-young couple, your family finances management skills impact your family’s financial future. Here are 6 points to consider when coming up with your family’s financial plan. Arguments about finances are a major problem and source of stress for couples contributing to divorce. Poor household financial management creates frustration, disappointments, and ultimately breaks up relationships and families. Arguments about money [are] by far the top predictor of divorce. ~ Sonya Britt, Assistant Professor of Family Studies and Human Services and Program Director of Personal Financial Planning, of Kansas State University. Let’s look at six important factors every couple or family needs to have good household financial management. Goals will set the direction for you. Setting what goals to achieve depending on your priorities. What are the things that are important to your family? Each household will have different priorities. Short-term (1 to 2 years) time. A delayed honeymoon overseas trip to Europe. Medium term (2 to 5 years) time. The dream house that fits your lifestyle. A second family car for transporting children. Long-term (10 years and above). Write down your financial goals, print it out, and display it. A visual can be motivating. Seek to understand where your finances are now. It will be simpler for you and partner to decide where you want to go knowing where you are now and how far your goals are to achieve. The earlier you and your partner have a mutual understanding of spending, the sooner you can end those frustrating arguments about money. Invite the whole family to participate. If you have children, bring them in. It’s a good time to educate them on money management. Layout in details your individual income and expenses. You need to be truthful. Don’t worry about excesses. You may find some surprises about your spouse expenses. It’s not a time to pinpoint fault on your spouse spending habits. To improve is to understand. Segregate your expenses into fixed and variable, what debts carried and how much and your assets. Generally, at this point be clear on the overall aspects of cash management. For example, if there are any big purchases exceeding a certain amount, it needs to be discussed first. Understand the individual financial standings and future expectations. Now, track the actual household expenses for two to three months. You need to know where your hard-earned money goes. The result may spring some surprises. At this point, don’t worry about the budget yet. Instead, the idea is to thoroughly capture the true situation at hand in order to properly provide for your shared future together. For a young household, the priorities are to live within their means and start saving to grow wealth. Make saving a monthly habit. Set up your bank accounts to automatically transfer a certain percentage of your salary to a savings account monthly. Let the power of compounding works its wonder. Cutting down on your expenses means you will have more money to invest. You will need to differentiate between your “wants” and “needs”. “Wants” are products and services you love to have but not necessary such as a bigger fridge or a new leather boots. “Needs” are products and services you required and are necessary. Examples of “needs” are foods, a roof over your head, and clothes. After 3 months of tracking, you may find some expenses are not necessary. Before you buy anything, ask yourself first whether not having it would harm you in any way. If not sure, wait for another day before buying. Even things you think are a need would need evaluation. Yes, you need a 2nd car for home maker duties. Do you need a brand-new car or used car? Should you go for a local made or imported? Do you take 3 years or 9 years loan? You need to make all these decisions on one single need. All these decisions have its financial implications for your personal finances. A budget – even a simple one is the surest way of keeping you from spending more than you earn. Early adoption is key. Even a simple start with old-fashioned pen and paper works. 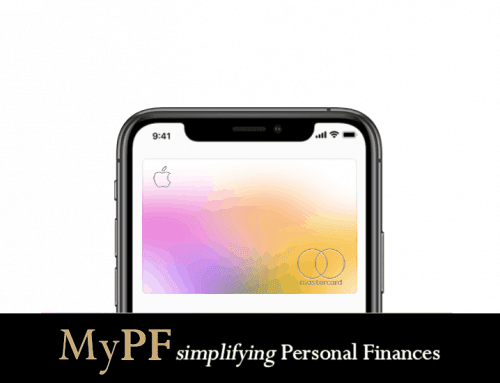 Nowadays with technology, it is simple to use a spreadsheet, budgeting software or apps to plan your budget and maintain your budget tracking. Take a look at each line of actual income and expenses that you identified in step 1 above. The income (your salary) should be consistent every month. Your expenses are what you should scrutinize. Categorized it to fixed and variable. Variable expenses are your priority to adjust spending. For examples, groceries, eating out, hobbies, gas. Your “wants” and “needs” are different. Spend on your “needs” and reduce or cut on your “wants”. You will have more money to cater to the needs. The goal is to always spend less than you earn. Example, cut back on premium coffee if it cost you a few hundred dollars a month. Bring your own coffee from home. Review your largest household expenses. Find a better deal elsewhere. Don’t count extra or occasional incomes from side jobs or freelance work. You should invest it. Strive to have a positive budget as fast as possible i.e. your income to exceed your expenses. Start to grow your household wealth now! 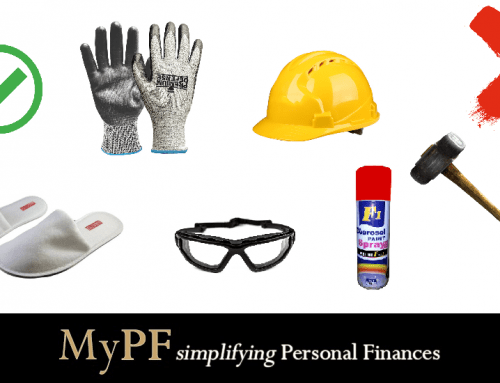 Start with fundamentals such as building your emergency savings fund. Goals are set, incomings and outgoings identified, areas of savings recognized and a budget created. Now is action time to start tracking your actual expenses. Track of expenses on a weekly or daily (preferable). The most important principle in spending is to only spend with money you have. An exception if there is an emergency. You should not use future money (money you expect to earn in future). The budget will show that most of us spend money on petty and unnecessary things. Clear off your balance every month. Use the card only for needs, not wants. Pay at least the minimum amount. Don’t skip a payment. Treat credit cards as a tool for budgeting and pay off the balance every month. Stay under 30% of your total credit limit. One way to keep your credit score healthy is to keep your credit usage ratio under 30%. Protect yourself from credit card fraud. A budget needs to be review and re-evaluate. Situations may change, mistakes made and your needs may vary. A new budget takes time to reveal whether it is on realistic statistics. For the first year, review your plan monthly. 2nd year, review quarterly. But, for any fundamental changes in your life, please re-look at your plan and change it. Example of major change in life is a loss of employment or purchase of a house that requires cut back in other areas. Life is unpredictable. Adjusts your budget if necessary that will benefit you and your family. 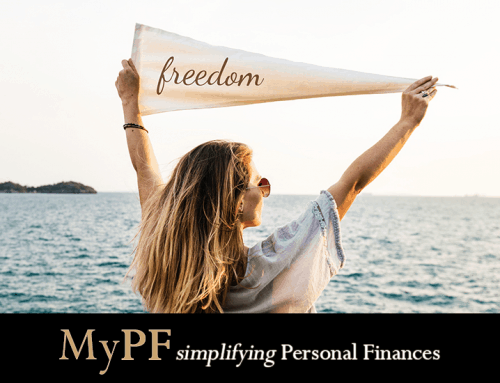 A life plan with a solid foundation will give you an advantage in reaching Financial Freedom. 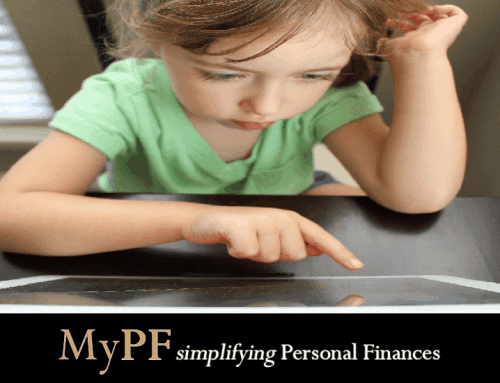 Working with a MyPF Advisor can help simplify and coach you on better financial habits. What tips do you have or questions to ask on managing your household finances?